Decadent and dazzling. 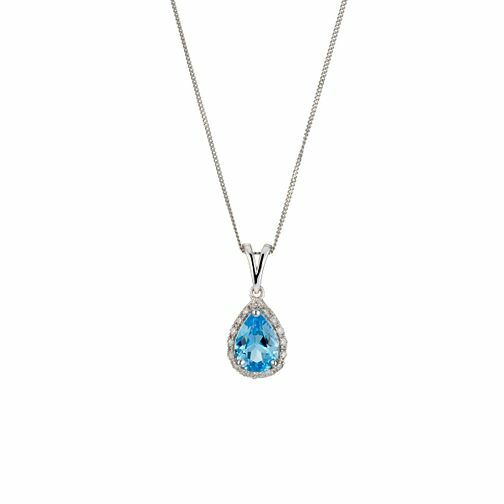 Make a glamorous impact with this striking sky blue topaz pendant. Edged by sparkling diamonds, this pretty pendant has it all. Layered or on its own this necklace works both ways.